1. 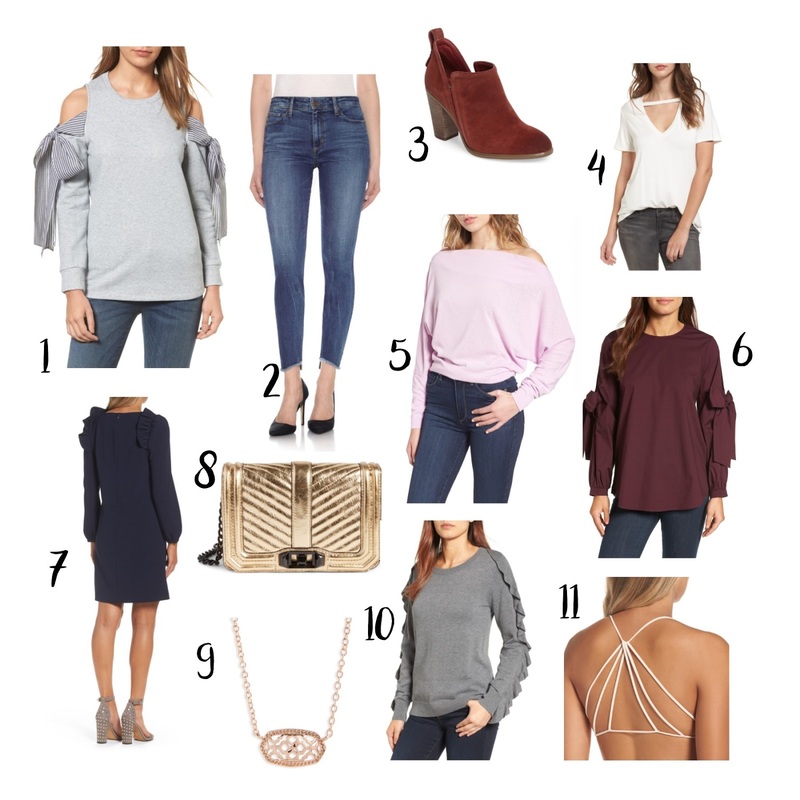 A cold shoulder sweatshirt with bows - Swoon! 2. These jeans have the cutest hem line. 3. I love the color of these booties. 4. Cute basic tee for $18. 5. Prettiest off the shoulder sweater by Free People. 6. This top comes in many others and I love the bow details. 7. Update your work wardrobe with this ruffle dress. 8. This Rebecca Minkoff cross body is gorgeous and the price point is great. 9. If you've ever wanted a Kendra Scott piece, the Elisa necklace is my favorite. I love this filigree version and the price is awesome! 10. Ruffle sweater....need I say more? 11. A neutral colored bralette is a basic you need. This will be so cute under tops and it's $12!